In my repertoire of being a shortcut cook, this sure is a killer recipe. And it has always got me accolades from whoever has had it. Its finger-licking good and so very easy to cook!!! Cut the chicken breast horizontally into flat but big pieces. Rub the pieces with a pinch of salt, oregano, lime juice and black pepper and leave it for 5 minutes. Heat oil in a fry pan. Add the finely chopped spring onions and stir for a min. Add the chicken pieces and cover it with the lid. The spring onions will stick to the chicken. Flip the chicken after one side is cooked and keep the lid again. Take out the fried chicken (with the stuck spring onions). The pan will be left with some oil and some onions. Inside the same pan, pour the fresh cream and simmer for a couple of minutes. 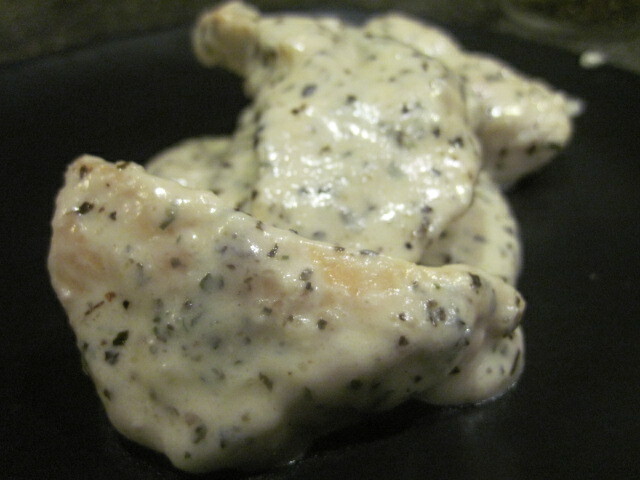 While plating, serve the chicken first and top it up with the sauce. It tastes best with pasta or a simple serving of mashed potatoes. Tia, my passport to motherhood!! !